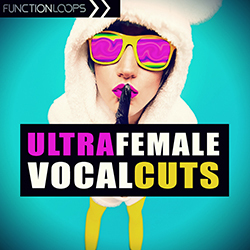 Are you ready for the biggest Vocals collection around? Including 2.7GB of only Vocal material and nothing else! 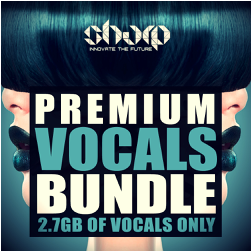 SHARP (Function Loops Label Group) brings you Premium bundle of 1772 Vocals, including all-stars ever released on SHARP. 5 different vocalists in this one of a kind pack. Go Premium and save big time, the content you are getting is worth over 200$ if buying separate, now you can grab it for 59$ only (limited time offer). Just dig into the demo, biggest vocal mashup ever and this is just a tiny piece of the content. 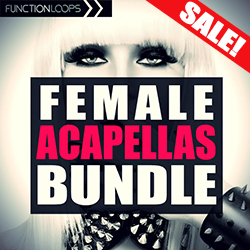 This Premium bundle fits for various genres. 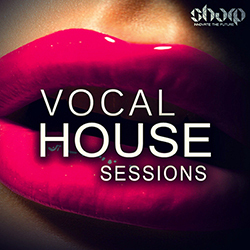 No matter what genre you are into, the vocals will sit tight on any mix. 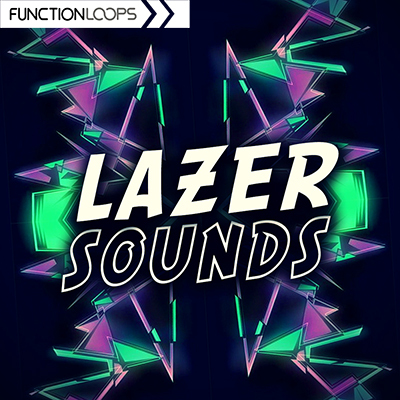 Charged with Acapellas, Vocal Loops, One-Shots, FX Loops and various stuff. Including the full range: Phrases, whispers, singing, shouts, deep voices, laughters and anything else you can imagine. Some of the Vocals come as Dry/Wet where applicable. All the sung Vocals are Key-Labelled. We grouped the vocals in Genre labelled folders, for ease of navigation, but they are easy to mix and match, no matter the style. Watch Product Showcase video below.